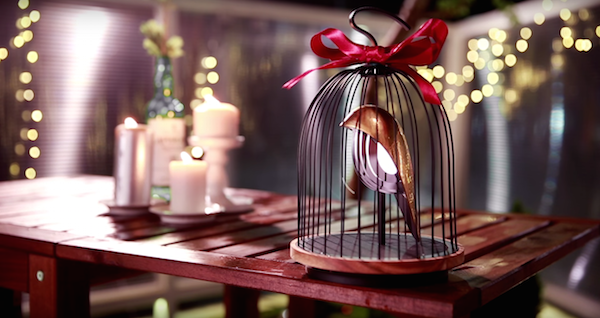 JinGoo is a designer craft piece that takes the form of a bird cage and brings together the features of an ambient light and a bluetooth speaker. With this beautiful lamp that plays music, owners are invited to create a pleasant atmosphere for any space. According to the DAQI CONCEPT design team from Taiwan, the name JinGoo is taken from ancient Chinese literature, in which it is used to describe the sweet sound of birds calling. Bird keeping is a ritual in traditional Chinese culture and bird cages are commonly seen as part of home decor. 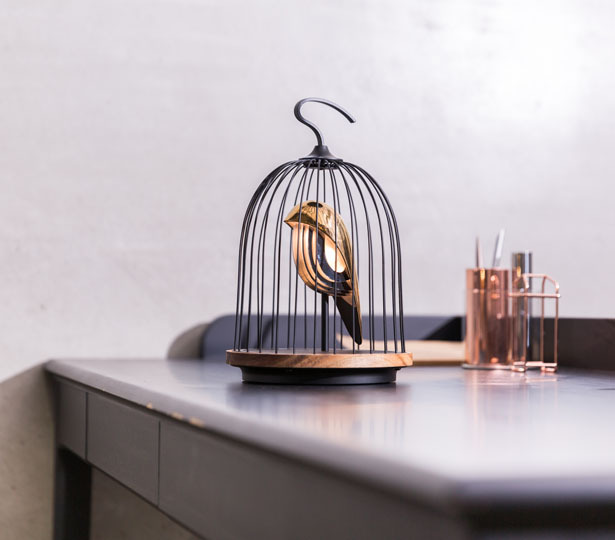 The owners, whom enjoy a carefree and abundant lifestyle, would take their birds in cages for strolls in early mornings and admire the bird’s songs while writing and reciting poetry. It can be a special companion and create magical space to inspire endless imagination. 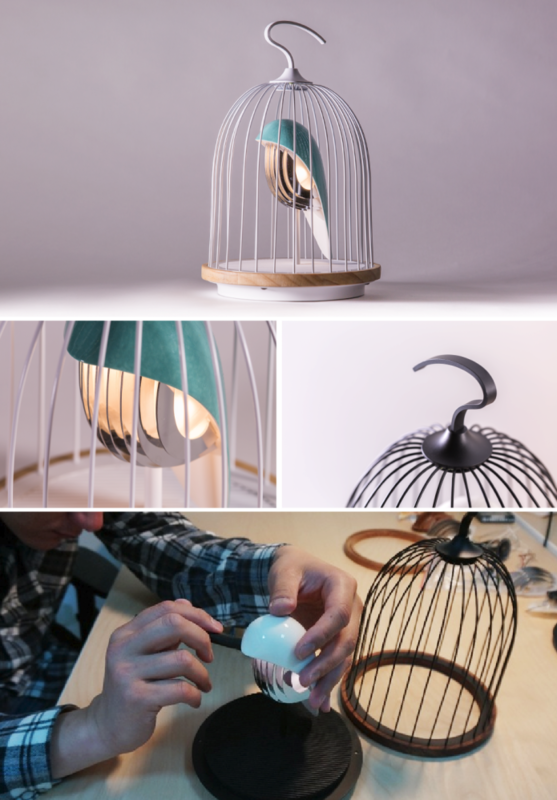 This unique light offers harmonious blend between eastern aesthetics and superb sound quality, the body of the bird is made from molds for production precision and fired in the traditional kilns by masters in Yingge, a traditional ceramic town in Taiwan. The base of the cage is constructed of Taiwan Acacia wood, using kiln drying techniques from Japan, the shrinkage of fibers has been controlled to keep the natural patterns and textrues of the wood. JinGoo features a mono 2-way speaker where the low frequency woofer speaker. The low frequency woofer speaker is located at the base structure so that the sound waves can be reflected by ceramic tail of the bird. All together, sound waves from tweeter, in the bird’s body, and a wide stereo effect, it results in advanced audio performance. JinGoo's technical features include a mono two-way speaker with a low-frequency woofer located in the bird's ceramic tail. Both the tweeter (loudspeaker) and lighting are located in its chest, and a three-way light button controls the brightness. These features offer 15 hours of music and light before needing to be recharged with a Micro USB. But if Santa is looking for some very very early ideas, this would put a very big smile on my face come December 25th.